“We are a small family owned and operated carpet, upholstery, tile and grout cleaning company here in West Cork that are extremely well equipped to tackle any job you can throw at us. We’ve been in the business of providing Cleaning Services to the Domestic, Commercial and Tourism/Hospitality Sectors all over Cork since August 2004.Customer Satisfaction is our main aim because our business relies on repeat clients and word of mouth. 80 percent of our business is repeat clients and friends and family they referred. We really do understand how important your satisfaction is and we strive to meet and exceed your expectations. We want you to know that you will feel comfortable and safe with us in your home. West Cork Cleaning is fully insured for both Public Liability and Treatment Risks.We want you to know that we keep our van and equipment up to date and immaculately clean so you can be sure you are getting the most thorough job possible. We started this company on excellent customer service and quality cleanings, and we will continue to do so. What we want you to know is this, we will do everything we can to impress you and make you tell everybody you know about us. We want you to continue to use our services while you live in West Cork and we will do everything in our power to keep you happy, healthy and thrilled about our services. We provide a cost effective and professional Cleaning Service. 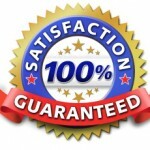 Dependable,timely AND most importantly fully guaranteed. West Cork Cleaning is VAT Registered. Many people are concerned about harsh chemicals that can affect the health of their family or pets. Rest assured that West Cork Cleaning only uses top quality products that are safe for you and your loved ones. We are a Green company with a strong focus on healthy cleaning. 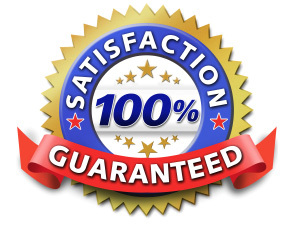 Satisfaction Guaranteed: Call us within 15 days of a completed job and we will come back free of charge if not satisfied with our work. Call Now For A FREE Estimate 023-8834864 ! My blog on cleaning issues…..